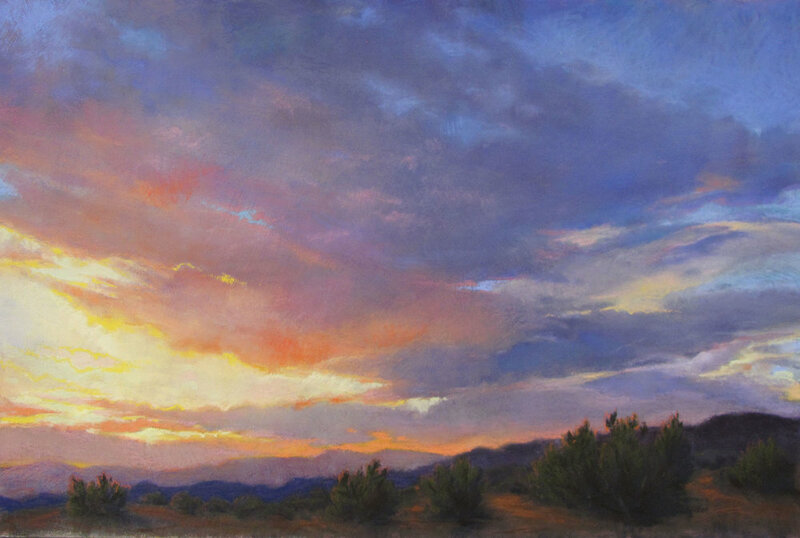 Inspired by the vastness of New Mexico's vistas, boundless skies, and dramatic light, Nancy Silvia seeks to share with the viewer an intense and personal expression. "The subject of landscape is complex, and engages my interest throughout a range of aesthetic and spiritual concerns." According to Nancy, "In choosing to represent the natural world, I hope to evoke a sense of place and the evanescent effects of light. Honoring the beauty of nature in a painting is a meditation, a poem, and a gift to the viewer." Throughout her career as a painter, Silvia has explored landscape subjects, seeking to represent not only the physical features of the earth, but the ephemeral qualities of light and weather. Silvia's plein air sketches are fundamental to recording nature's dynamism, and serve as the basis for larger paintings in the studio. She is devoted to the pastel medium for its versatility and intense pigmentation. 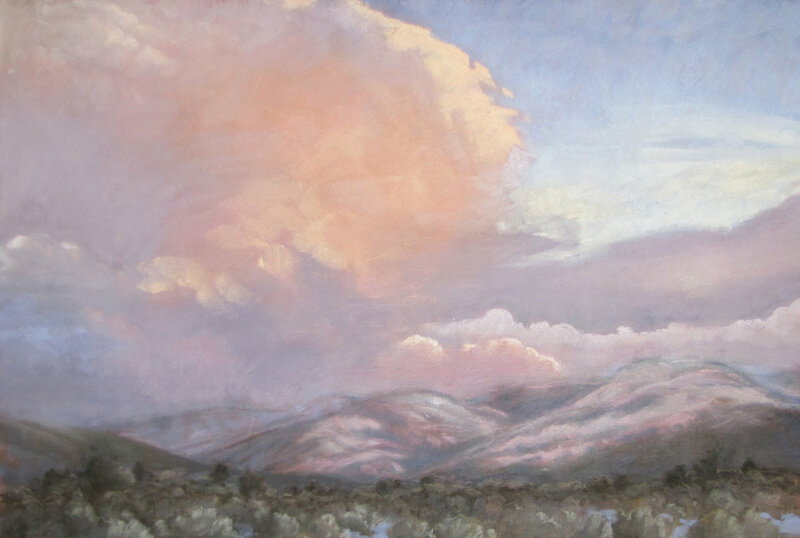 'Land and Light: Observations and Meditations', presents Silvia's lyrical pastel technique and distinctive personal vision of New Mexico. Nancy Silvia has exhibited extensively in the USA and Japan, and has been recognized with numerous awards and residency grants. Professional memberships include signature status in the Pastel Society of America, Pastel Society of New Mexico, and Plein Air Painters of New Mexico, where she has served as President and exhibition coordinator. Opening reception for Land and Light is on August 3, 2018 from 5:00 to 7:00 pm. Show runs until August 31, 2018.